Derek Jackson grew up on a wheat and cattle operation in the Goshen/Platte County areas. 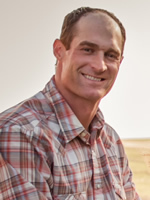 Upon graduation from Wheatland HS, Derek attended Casper College and the University of Wyoming graduating with a degree in farm and ranch management. Burns Insurance Agency employed Derek in December of 1992 where they started an insurance presence in the Torrington area. Derek is the branch manager of the office and oversees the crop- farm/ranch areas. 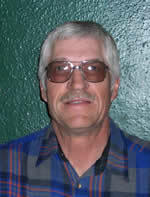 In 2009 Derek also began to manage the family farm back in the Chugwater area where he grows dryland wheat. Tyler Anderson is a fifth generation agriculturalists from Pine Bluffs, Wyoming. He runs his own farm with his wife and works side by side with his father to run their family farm that was established back in 1887. Together with his family, Tyler raises certified seed wheat, hay millet, and oats, as well as alfalfa, grass hay and dry edible beans for conventional sales. John Wendling just recently dove into a career as a dryland organic wheat farmer east of Chugwater, Wy. He grew up in Rock Springs, Wy and went to the University of Wyoming where he graduated with a degree in Business Administration and Finance while playing football for the Pokes. After college he was drafted into the NFL and played professionally for the Buffalo Bills and then the Detroit Lions from 2007-2013. After football, he decided to try his hand as a first generation wheat farmer. 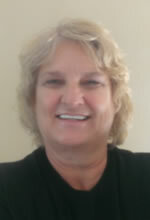 John is married to his wife Angela and together they have three kids Gage, Allie, and Reed. Angela's family has three generations of farming experience in Southeastern, Wy and her family, Hellbaum Farms, will celebrate their 100th anniversary in 2018.